It is not unusual for such attacks to take place in Sweden in the week before schools reopen after the summer holiday, Lippens told CNN, but "the current count and level of damage is unprecedented." Aside of the article showing that the festive events were well organized, the main thing we have learned, of course, is the timing. What can I say: going back to school after a long, sunny and happy holiday is traumatic for the kids, no question about it. And everyone with real blood in his veins will understand that need for release of the bad feelings. Of course, loving parents can afford a few cars to make the progeny docile for the looming September 1. 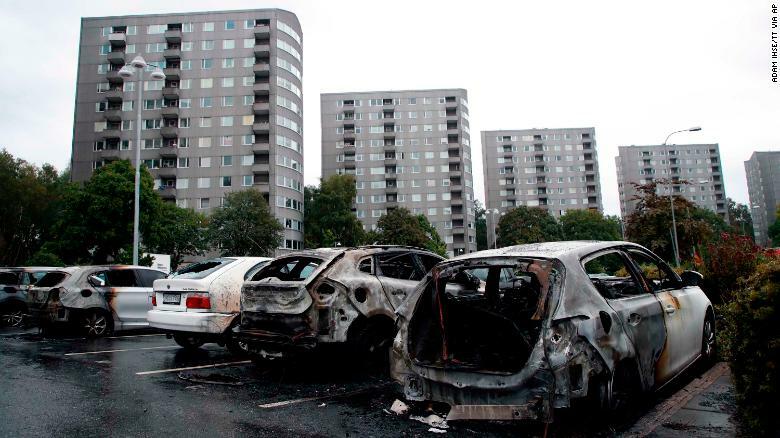 Especially if the cars were insured. The Vikings were also known to be fearless and ruthless warriors. One of their actions can be used by the aspiring and ambitious managers to help their organizations to create value. After they landed their boat on some distance land and as they departed to fight the local inhabitants (enemies? ), the leader would have the crew burn their own boat on the shore. Then they went into battle with the image of their burning boat at their back. 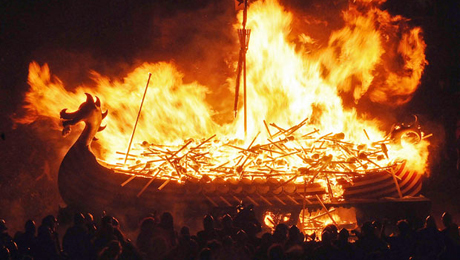 Second, the burning ship was strong signal to the enemy that the Vikings were serious and committed. Given that they had destroyed their only way home, the enemy must have taken that as a sure sign that this was going to be an extremely tough battle. Third, it was a signal to the Vikings themselves. The burning of their ship clearly made the point that the only possible way home was to win the battle. It reinforced their own level of commitment. So, dear reader, it is not "Back To School" syndrome at all, but an important part of Viking folklore, a hallowed ancient ceremony, reenacted every year in August, incidentally at the same time when moms and dads visit the department shops to buy new schoolbags, pencils, books, lunch boxes etc. So there. You are welcome.